Let's see, what year is this album from? 1976? I think someone caught the Yes bug. 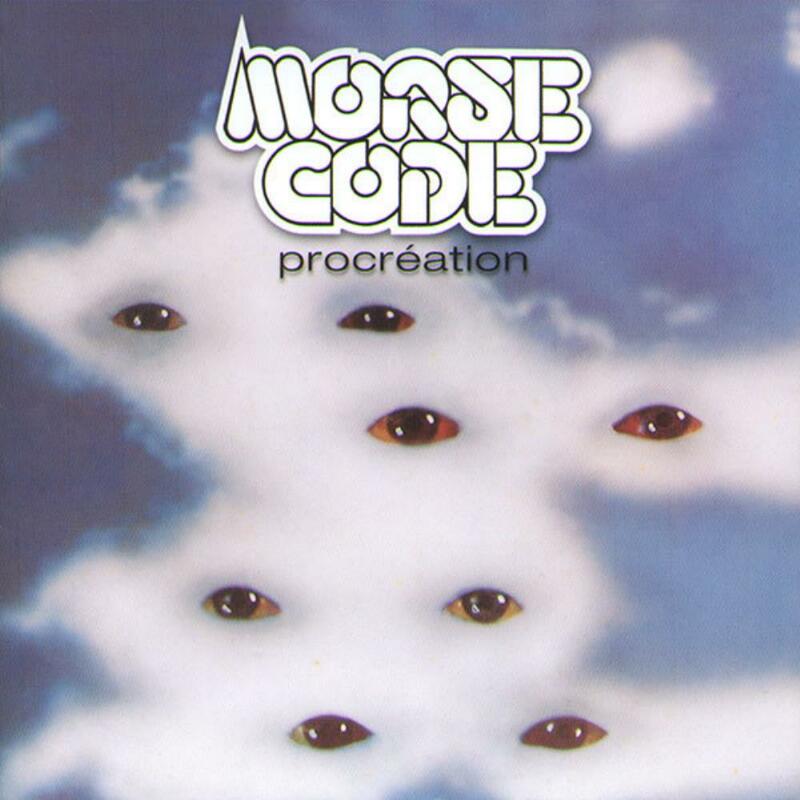 Morse Code's second album under the abbreviated moniker (formerly known as Morse Code Transmission) sees the band moving further into symphonic prog. Already on 'La marche des hommes', that chunky Rickenbacker bass sound was prominently in the mix, most obviously on the 11-minute title track. Here it stands out on the whole album. Add to that lots of Mellotron, some seventies synthesizer, some Steve Howe-inspired guitar runs, and a 26- minute title track, and things start to seem like a French Canadian Yes has been born. Though not exactly a clone (that award goes to Cathedral), when your music is this similar to Yes you have to expect comparisons. And yes, there are enough similarities to merit those comparisons here. But let's take a look at the album for what Morse Code put into it. For starters, I find Morse Code to be a little heavier than Yes. Think 'Heart of the Sunrise' without the hurried intensity or parts of 'The Revealing Science of God' without that thematic feeling. The opening track 'Précréation' has some good melodies in it and works well as an introduction to the title track which comes later. There's some classically influenced organ playing and flute as the piece moves through different musical themes over the course of its five minutes. It's a very good start to the album. 'Qu'est-ce t'es v'nu faire ici' is quite different from anything Yes ever did and brings us closer to the previous album. That bass is still in there loud and proud, but the vocal style is softer for the verses and the guitar and organ more rock than most of classic Yes. 'Nuage' might at first bring to mind Rick Wakeman's 'Cans and Brahms' from 'Fragile' but this keyboard instrumental also brings in the guitar, bass, and drums in two parts. 'L'eau tonne' also keeps the band fairly deep in Quebec prog waters, perhaps bringing them closer to contemporaries Octobre or Dionysos, namely because of Christian Simard's strong French vocal (lower in register than Jon Anderson in case you were wondering). 'Des hauts et des ha!..." begins with some wonderful almost ominous and foreboding music and sounds like this is going to be the best track so far. But it turns a bit silly as Simard sings ''ee 'ee 'ee 'ee' 'ah 'ah 'ah 'oh 'oh 'oh' This passes and we return to some excellent progressive rock with a very active bass and a synthesizer solo followed by organ and more synthesizer. It works wonderfully until that laughing bit returns. Too bad because the music is tops. A short and simple musical number (sounds like it's from a musical!) follows and passes quickly thankfully. I'm not into 'De tous les pays du monde'. This brings us to the 26:17 title track. Here's where the Yes comparisons will bite as surely as bedbugs. As with any long epic, it takes a few listens to digest. My conclusion is that it has a lot of terrific moments and good variety but doesn't reach the heights of 'Close to the Edge' or 'The Revealing Science of God' but is still better than some of the stuff on 'Tales from Topographic Oceans'. Four out of five stars for an epic over 20 minutes and home to a number of musical highlights on the album. Two more tracks (bonus tracks on the ProgQuebec release, I think) remain to conclude the album: 'Punch', a funky and punchy short instrumental, and 'Image', a little more rocking but still slow and steady with a synthesizer that mimics an accordion. It's hard to say which album I prefer of the two that I have by this band, but there's enough solid work on here to be worthy of adding to a prog collection if you're okay with French lyrics. If anything comes as a drawback, I find that the music introduces some excellent sounds that promise prog heaven but in the end something falls short and true bliss is rarely discovered. Still, this album has me feeling confident enough to buy the next album, 'Je suis le temps'. I believe that among these three albums an excellent playlist of songs can be achieved.